Perth Graphics Centre was invited to rebrand the signage for Savemor Pharmacy after the company moved out from under the Guardian Pharmacy name. The job entailed replacing lightbox faces, installing large sailtrack banners, fitting vinyl to windows and installing foam PVC signs. Obviously, a signage rebrand like this takes time and careful planning. But that’s exactly what Perth Graphics Centre is best at. 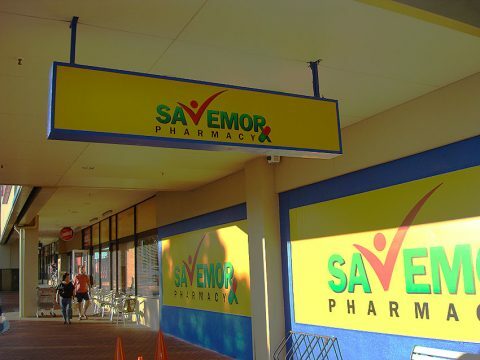 The end result was a job that made the customer extremely happy and to this date Savemor has been a loyal customer, buying many more signs from Perth Graphics Centre. 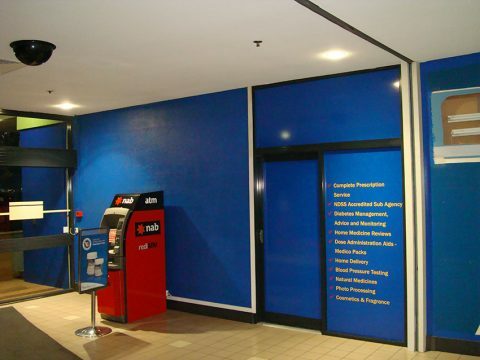 If you’ve changed your business name and require new signs, then call Perth Graphics Centre on 9248 6226.